On Monday the 13th July 2015, we learnt of the tragic news that Nintendo’s President and Nintendo of America CEO, Satoru Iwata, had passed away due to a bile duct tumour. He reigned over Nintendo as President from 2002-2015, and was the executive producer for hundreds of games. The sheer outpouring of grief from his colleagues and the community is testament to the impact he has had, not just on Nintendo products, but the video gaming community as a whole. I’d like to pay my own tribute with a quick examination of the hand Iwata has had specifically with the Pokémon franchise. While few may not realise it, he had quite an impact on the early generation games. 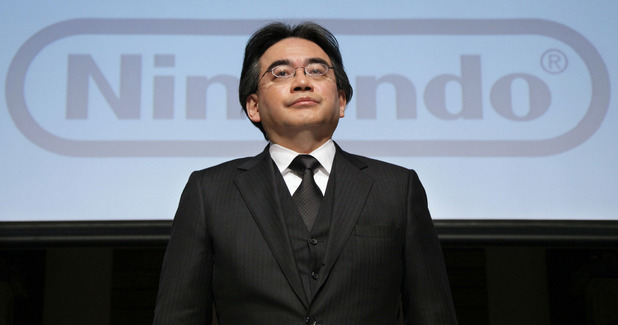 I’ve also opted to include a number of links, many which further expand on Iwata’s legacy. Red and Green (or Blue on Western shores) were the first pair of Pokémon games, and they were huge successes. The remarkable part is that the Game Freak company had a modest four programmers, and a fairly complex system behind the battle mechanics. It took them many years to develop those games on the Game Boy, a console for which games were coded in ‘assembly code’. Pokémon Red and Blue was written in a language only a step up from binary (that is, not much better than coding in only 1s or 0s). Even if you don’t understand the first thing about coding, all you need to know is that while nowadays many programming languages resemble English, programming a full game back then was hard. It was little wonder then that Red and Green had a large number of programming errors and bugs. Many have heard of Missingno, but there’s a lot of glitches within the battle system, and other exploitable glitches to be found. You can see why it took Game Freak a long time to develop the game, even with these errors. So when the company was working on Gold and Silver, they were swamped with the work required in localising and translating the games for outside of Japan. 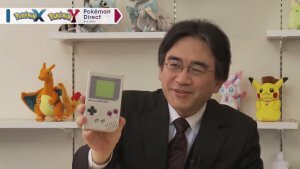 At the time, Iwata was a board member of Creatures Inc. (the same group that developed the Pokémon Trading Card video game and the Mother/Earthbound series), and he was tasked with suggesting ways to localise the games to Nintendo for the overseas releases. How did he do this? Apparently in this Iwata Asks on Pokémon HeartGold & SoulSilver, there had not been a specification manual – instead, he did it by looking at the source code. Even more impressive than this however was his following contribution towards the wildly popular Pokémon Stadium game, a N64 title (i.e. a rather different system to that of the Game Boy). Yet within a week, Iwata had not only made a port of the Red and Green’s battling system to the N64, he had it working. To replicate that in a week is something anybody with programming experience can appreciate. Just like that, Iwata had become a very significant part of the Pokémon programmer team. Tropius may have been his favourite Pokémon. That alone is worthy of praise, but there was another contribution. This time it was to the second generation games, Pokémon Gold and Silver. One of the coolest things about the Johto games was the ability to go back to the region RBY had been set in and revisit all the Gyms, see what had changed and importantly beat everyone up again. However, players of the original GSC games will know that Kanto had been downsized. 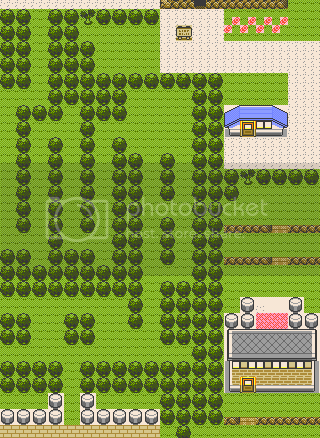 Viridian Forest was now a mini-map, Mt. Moon and Rock Tunnel didn’t take days without Repels, Cerulean Cave was caved in, and the Seafoam Islands offered no exploration, while Cinnabar was remarkably downsized. The reason for these changes was made clear by fans digging at the game code. The cartridge was for all intents and purposes filled up with data and graphics. This had been the case with RBY as well, but those games only had the one region. Luckily HGSS had rectified these downsizing measures, but even with those changes it was still nice to visit a second region in the GSC games. Viridian Forest GSC style, folks. Iwata in turn created tools for compressing the Pokémon graphic code. These tools were sufficient enough to fit everything in, along with enough space for Kanto as well. Not bad for a person that had been in a corporate position! He was of huge help, and without him we would have had a rather different Gold and Silver. The credits of GS grant him a ‘Special Thanks’ for this effort. The amazing thing is that these three major contributions are just one part of Iwata’s work. There may well be plenty of others that weren’t mentioned in an interview. He was a programming genius – he made games on calculators in his high school days, for instance. Furthermore, this is the person who was helped develop the Kirby games, the person who re-programmed Earthbound/Mother 2 from scratch (a much-loved game from a much-loved series which was suffering heavily in development until he stepped in), the person behind the establishment and continuation of the Super Smash Bros. series, and the person who was a long-serving President of Nintendo. And while most of us never met Iwata personally, there were many instances where he showcased himself to be an upstanding and cheerful human being. He ran his Iwata Asks segments which showed the world a behind-the-scenes view of game development, and made frequent appearances on Nintendo Directs (a method of revealing video game news he started), often in a rather entertaining manner. Perhaps one of the better examples is when he gave himself a salary cut while Nintendo was having a patchy period, rather than fire any staff members to cut losses. And the world’s reaction to his passing away, including the respect paid by high-ranking members of Nintendo’s rivals in Sony and Microsoft, is further proof of that. Rest in peace, Iwata. May the next successor of Nintendo be even half as significant in their contributions as you have. Truly an integral part of Nintendo. This entry was posted on Tuesday, July 14th, 2015 at 12:25 am	and is filed under Articles, Real Life Events. You can follow any responses to this entry through the RSS 2.0 feed. You can leave a response, or trackback from your own site.